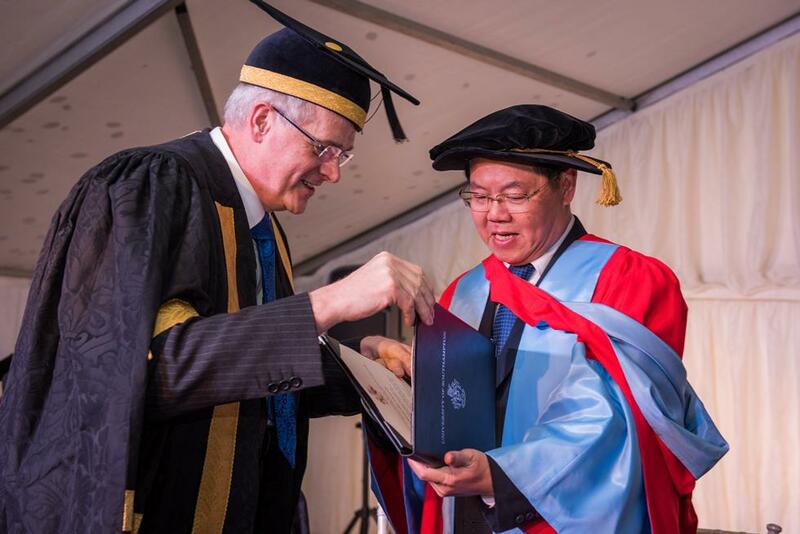 The University of Southampton has conferred an honorary Doctor of Science on Professor Zhu Chongshi, President of Xiamen University, China. 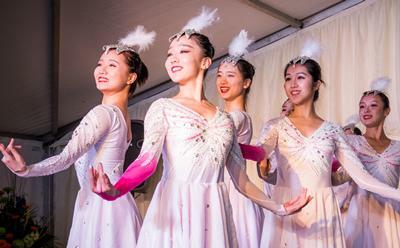 The special degree was awarded during festivities in celebration of Xiamen University Day at the University of Southampton to mark the special relationship the two institutions have developed in recent years. Co-sponsored by the University’s Confucius Institute, the day provided an opportunity for students, staff and the community to learn more about this important partnership and to deepen further ties. 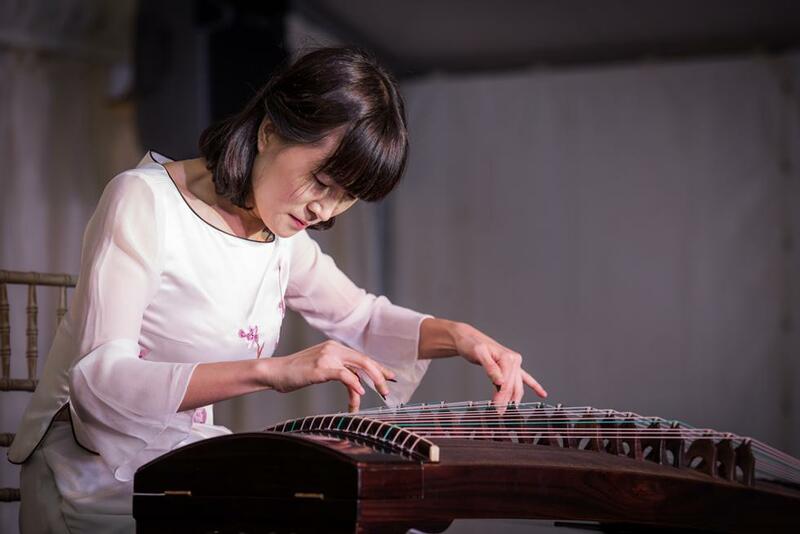 Following a series of engagement activities between leading academics and students, the day culminated with the honorary degree ceremony and a special exclusive performance by the Xiamen University Art Troupe. 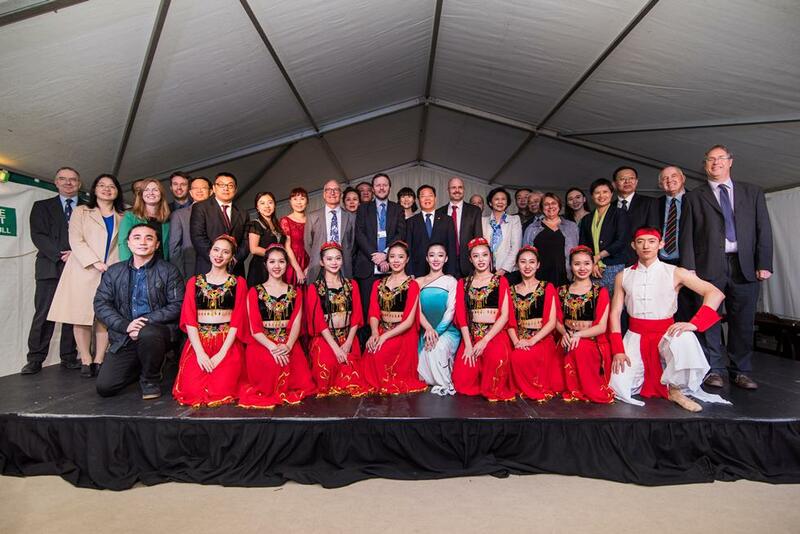 The performance showcased traditional Chinese music and dance mixed with Western touches and featured the world-renowned baritone Yalun Zhang, now a Visiting Professor at Xiamen. 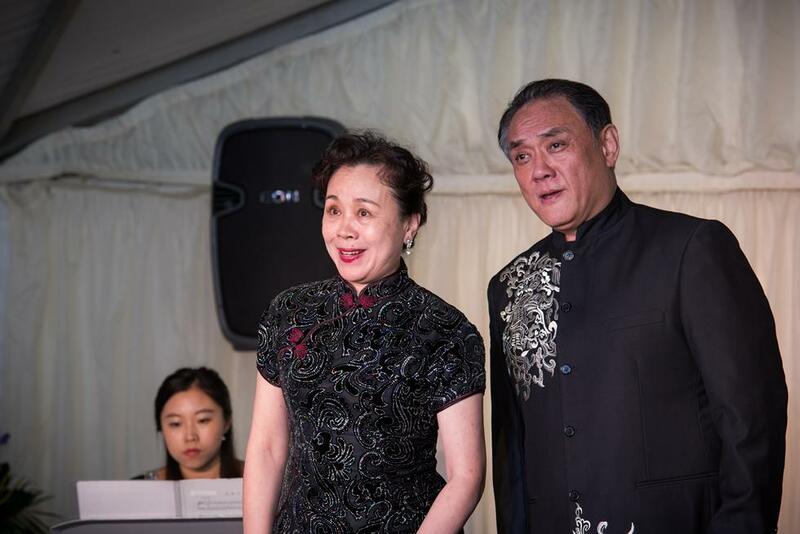 President Zhu, who was honoured for his unswerving commitment to fostering the relationship between Xiamen and Southampton, said: “Today will be unforgettable in my life. I extend my sincere appreciation for conferring this honour and accepting me into the big family of the world-renowned University of Southampton. 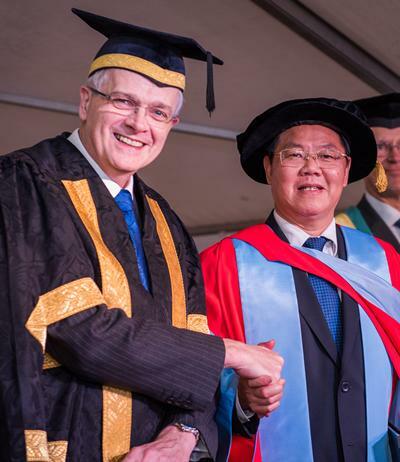 Southampton President and Vice-Chancellor, Professor Sir Christopher Snowden, said: “It is an honour to present President Zhu with an honorary degree from our University in recognition of his achievements and the unity he has created between our two universities. A Xiamen graduate of Economics in 1982, President Zhu was appointed Vice President of the University in 1995 before becoming its tenth President in June 2003. After 13 years in post, he is one of the longest serving University Presidents in China. As well as being President, Zhu Chongshi is a Professor in the School of Law at Xiamen. For more than a decade Professor Zhu has led the University on an elite path to excellence to become one of the best universities in China. The Times Higher Education ranked it eighth among all of China’s mainland universities in 2016. 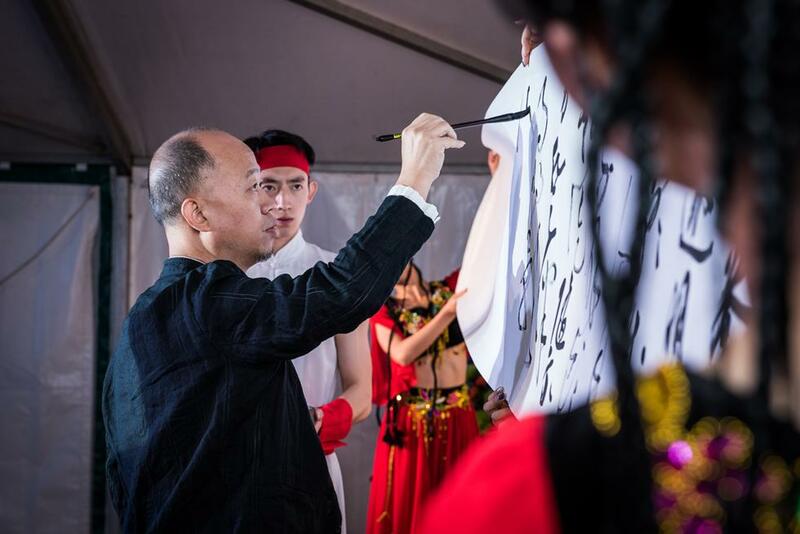 In 2011, his role as a member of the Council of the Confucius Institute was pivotal in facilitating the establishment of the University of Southampton’s Confucius Institute, created to promote the study of Chinese history and culture. 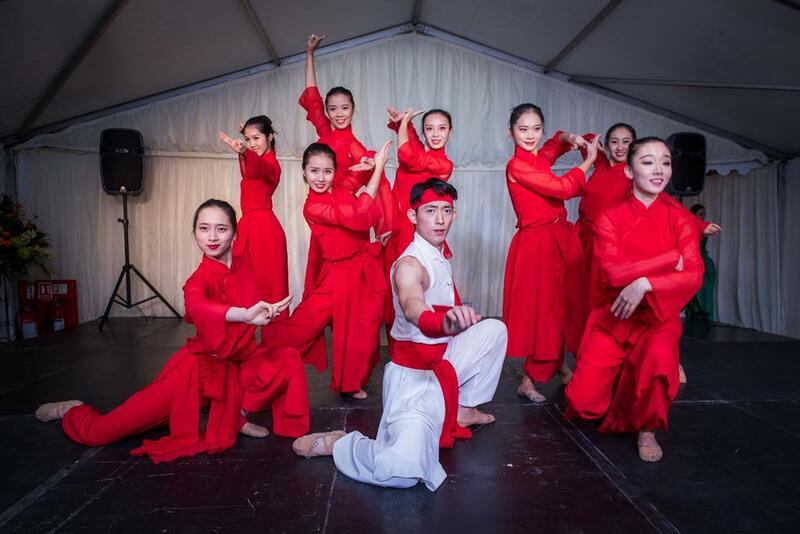 The Confucius Institute has extended the capacity of the University of Southampton to promote and deliver education on contemporary China to its students, and through outreach visits to schools and open events has become a means for local residents of Southampton to become more familiar with Chinese language and culture. Xiamen University Day came just weeks after Sir Christopher Snowden returned from his first major visit abroad on behalf of the University, leading a delegation to China and Hong Kong. The delegation travelled to seven cities in seven days including visits to the China Scholarship Council, Tsinghua, Renmin, Shanghai Jiao Tong, Xiamen Universities, Chinese University of Hong Kong and the University of Hong Kong. The visit gave new and existing partners and alumni an opportunity to meet Sir Christopher and new Vice-President International, Professor Colin Grant, as a key part of Southampton’s developing international strategy focusing on Global Excellence Partnerships. The tour also included opportunities for Southampton Academic colleagues to connect with their counterparts in China.